Last night, for the second time this decade, I got to have dinner and give a talk on the floor of the dome of the famous 200-inch Hale telescope at Palomar Observatory. It’s rare for anyone to give a talk on the floor of the 200-inch telescope, because Palomar, like every other large telescope around the planet, is used night after night after night looking at everything from the nearest asteroids to the edge of the universe. Few or no pauses are allowed for frivolities such as dinners and talks (in this case we got in, had dinner, gave a talk, and vacated the floor just as the sun was setting). So it was a treat when I got invited to speak to an intimate gathering of supporters of Palomar and Caltech – the university where I work and the one which, not incidentally, owns and operates Palomar – on the floor of the dome. It was even more of a treat because I had been the speaker at the last one of these dinner 8 ½ years ago, and it was particularly interesting to reminisce about what had happened in the almost-decade since then. When I gave that first talk, in September of 2000, I was a young assistant professor at Caltech who had embarked on what I think it is fair to say was an audacious project: I was going to go find the 10th planet. I had spent the previous two years systematically scanning a wide swath of sky using the seemingly ancient technology of manually slapping giant glass photographic plates to the back of a wide-field telescope, exposing the photographic plates to the sky for half an hour at a time, developing the photographic plates in the darkroom downstairs, and then looking at repeat exposures of the same patch of the sky to see if – perhaps! – I could find something that had moved. It was exactly what Clyde Tombaugh had done 70 years earlier that had led to the discovery of Pluto, but, no, I had the advantage of a much larger telescope and the use of computers to help analyze the final photographic plates. At the time of the talk 8 ½ years ago I was in the third year of the project, where I was going back with a larger telescope to try to confirm anything that I thought I had detected during the first two years with the photographic survey. I told my audience sitting under the 200-inch telescope about what I was doing and about what I hoped to find. I told them about photographic technology versus the new digital cameras now widely in use. I told them about why I thought that after this third year I was going to have made that discovery I was hoping for and the 10th planet would be in our grasp. It was, I daresay, a talk full of exciting promise. It’s a good thing I wasn’t asked to give a follow up talk right away. By the following year it was clear that my three year survey had found a grand total of absolutely nothing. I told that story last night at the 200-inch telescope and everyone chuckled. They chuckled, of course, only because they knew what came in the years that followed. What came next? We scraped the photographic plates, installed experimental digital cameras, roboticized the telescope, and kept scanning and scanning and scanning. With the benefit of the faster and more sensitive digital cameras we slowly surveyed the whole northern sky and blew the outer solar system open. Last night I showed my baby pictures from the past decade. I showed Quaoar, the first large Kuiper belt object that we found, the one named for the creation force of the local Tongva Native American tribe, the harbinger of larger objects to come. I showed Orcus with its newly named moon Vanth, and talked about its odd mirror-image orbit to Pluto. I showed Sedna, far beyond the Kuiper belt, in an orbit that takes 12,000 years to go around the sun, named for the frigid Inuit goddess of the sea, a beacon pulling us even further in the distant solar system. I showed Haumea, with her two moons Hi’iiaka and Namaka, spinning her was across the sky, I showed lonely Makemake, bird god of the Rapa Nui, the runt of the litter that produced the Big Three of Makemake, Pluto, and Eris. And then, of course, I showed Eris her, in all of her discord and strife, with her tiny moon Dysnomia circling her. I really do feel like each one of these is like a child to me. And, like children, whenever the rest of them are not in the room, I will secretly tell you that this one is my favorite. They’re all my favorites. I can tell you stories about their little quirks, their odd habits, and a funny thing that this one did the other day when it thought no one was watching (did you know that the night before Namaka went right behind Haumea playing a little hide-and-seek with us? Silly little moon.). Something else was particularly interesting to me about my talk 8 ½ years ago at Palomar. Something happened that day that I am certain I will never forget. I was inside the telescope waiting for the group of Caltech supporters to arrive, and finally hearing the knock on the outside door, I opened the door, and, as my eyes adjusted to the blinding outside light, I was greeted by the director of the group of Caltech supporters. She had worked on the Caltech campus for years, but somehow our paths had never crossed. I had certainly never seen her before. How do I know for sure -- you might ask. Trust me -- is my answer. I would have remembered. She walked in the door, and I fumbled my words introducing myself. Her name was Diane Binney. Diane Binney doesn’t work at Caltech anymore, but she came on the trip to Palomar last night anyway. It was her first time back to the mountain since that time 8 ½ years ago when I gave a talk up there. She came to see old friends and revisit old places. And, since she hadn’t seen many of the people in a long time, she brought baby pictures of her own. She has a 3 ½ year old daughter named Lilah. Lilah has Diane’s last name as a middle name, but she gets the last name from her father. Me. Lilah Binney Brown. Any thoughts on what Pan-STARRS might find in the year ahead? Once all four scopes come online in 2012? A real Planet 10? Or will planets be passe? ...(did you know that the night before Namaka went right behind Haumea playing a little hide-and-seek with us? Silly little moon.).Yep. I knew that. I've been following the links from "Moon shadows galore". The nominal event light curve showed nothing, however. So, I get a little extra dose of suspense. But something tells me I won't find out anything until August 13. Of course, we'll have a better picture then. Hi, Kevin, if Triton were alone in it's solar orbit it's Hill sphere would be about 6 Gm. That surprised me. I don't know if that would help you or the IAU. Just a trivia factoid. Hi, graal, I saw your post while I was previewing. I think Mike remarked once that he would like to see PAN-STARRS in space (this is not an authoritative statement, though). The WISE mission going up later this year might find a ten Jupiter mass object. I wouldn't know what to call it. We can't call it a "brown dwarf" because it's never had fusion reactions. Besides, modeling seems to indicate that these objects are not black bodies but instead have considerable color! Unfortunately they're infrared colors so I can't use words like "chartreuse" or "angry crimson". Google the "Y" spectral classification. That's lovely: your children from the sky and the one closer to home. You should put up pictures here. How many meters is 200 inches? That has no meaning for me. Slightly off topic, but I just learned that Venetia Burney Phair passed away April 30. For those who are unfamiliar with her, she is the one who named Pluto. 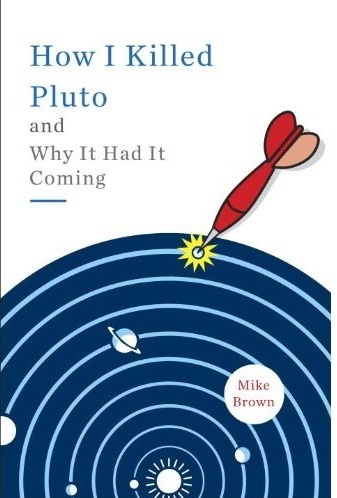 I believe that makes Mike the only living person to have named a (dwarf) planet. More than one, in fact. R.I.P. Venetia, and congratulations to Mike and his team for their remarkable string of discoveries this past decade. Enjoyed this, as always. Reminded me of the time I was doing the night watch while sailing in the southern Bahamas. It's not good seamanship, but I would sometimes watch a movie on the portable DVD player to pass the time. I always stood up every few minutes to look around for ships, but this time I got caught up in the movie and lost track of where I was. When I looked up there was a huge orange shape bearing down on us directly ahead. My heart stopped. I jabbed to disengage the autopilot, spun the wheel hard to starboard, and stared at the radar which showed absolutely nothing in front of us. What I had seen, of course, was the incredibly bright moon which had risen in front of us while I watched Tom Cruise get chased around that 7 inch screen. You did find the 10th planet--except that it's really the 11th planet, as using the hydrostatic equilibrium criterion, Ceres is a planet too, and that makes Pluto the 10th, Haumea the 11th, Makemake the 12th, and Eris the 13th. 200 inches translates to 5.08 Meters. forty years ago when I took my first college astronomy class all US Telescopes were described in inches( diameter of the primary mirror).